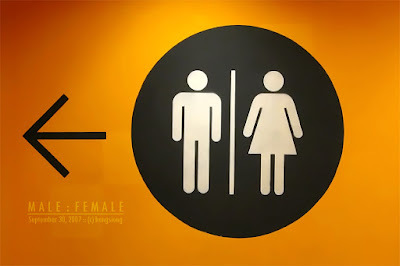 large wall-painted sign leading to the washroom in Queensbay Mall, Penang. orange background is the central zone; north zone is lime green, while south zone is cyan. A shy, introverted guy... a lot of people remarked that i'm the quietest person they've ever met :p indecisive and always reply with a "dunno" to most questions... is it? dunno.